Language Institute Regina Coeli BV and Regina Coeli Language Courses BV protect the privacy of their customers, connections and co-workers. All privacy sensitive information you provide to Language Institute Regina Coeli BV and Regina Coeli Language Courses BV is part of this privacy statement. Your personal details are therefore handled and secured with the utmost care in accordance with the requirements of the General Data Protection Regulation (GDPR). Language Institute Regina Coeli BV and Coeli Language Courses BV (hereinafter collectively referred to as Regina Coeli), located at Martinilaan 12, 5262 BR in Vught, are responsible for processing your data in the sense of the law. Regina Coeli is available via hello@reginacoeli.nl or over the phone via telephone number +31 (0)73 68 48 790. When do we collect your personal details? We collect and process your data from the moment you complete or leave your data behind on our website, you apply for a job with Regina Coeli or you report or are reported in any other way to use our services. Therefore, we collect data from anyone who directly or indirectly enters into contact with us: customers, connections, applicants, (former) co-workers and contact persons. How do you give us permission to process your personal details? When you complete or leave your data behind on our website, you apply for a job with Regina Coeli or report to use our services in any other way, you will be informed of the purpose of registering personal details and asked to consent to the registration of your own volition. In certain situations, when signing a training proposal, you will declare to agree to the fact that we will process the personal details. In addition, we will process your data at network meetings or in situations where Regina Coeli has to comply with legislation and rules. When your personal details are processed in modified or new situations, this will only occur with your explicit consent. We collect personal details from our customers and connections to conduct our services, close and execute an agreement and in specific cases, comply with legal obligations. Read more about processing data of our customers and business relations. In addition, we also collect personal details from (former) co-workers and applicants within the scope of employment contracts, secondment, payroll, recruitment & selection, personal development and availability, salary records and personnel management. Read more about processing data of our co-workers and applicants. We process the personal details of customers and connections and of (former) co-workers and applicants required for our services. Some of these details are required to be able to use our services. Additional data might be advisable to better gear the services to your wishes and qualities or to meet more specific demands or obligations from clients. You are personally responsible for the correctness of the data you provide. Who do we share (part of) your personal details with? Regina Coeli can pass your personal details on to organisations providing services or performing tasks on its behalf, government agencies and other business connections. This might include the hotels we work with and the organisations managing our ICT software. This providing of personal details is based on a justified interest, legal obligation and/or to execute the agreement in accordance with the goals mentioned at “Why do we collect your personal details?”. How long will we store your personal details for? The storage periods we use depend on the goal for collecting your personal details. If you are a customer or connection of Regina Coeli, we will store your personal details maximum 26 months after completing your language training. For (former) co-workers, the personal details are stored in accordance with legal periods. If no legal periods have been determined, the periods will be established in accordance with the summary of storage periods in the personnel records. Within the scope of job applications, personal details are stored up to 4 weeks after closing the application procedure. How have we secured your personal details? Regina Coeli takes every possible measure to optimally secure your personal details against unlawful use. This occurs by taking physical, administrative, organisational and technical measures. For example, only authorised co-workers have access to your personal details. If and insofar as details are provided to data processors providing services or performing tasks on our behalf, Regina Coeli has agreed with them to also optimally secure the personal details. How can you inspect your collected personal details and how can you correct or remove them (have them corrected or removed)? As a customer, connection, (former) co-worker or applicant of Regina Coeli, you are entitled to inspect, correct or remove your recorded personal details. If you have a personal My Regina Coeli account, you can personally inspect and adjust the most important details. In addition, you can direct a specified request to Regina Coeli by sending an e-mail to clientservices@reginacoeli.nl, stating your name and address particulars. Regina Coeli will respond to a request for inspection or correction within 4 weeks. In case of a request for removal, Regina Coeli will remove the concerned personal details as soon as possible, unless and insofar as the law obliges storage of the concerned personal details or if there are (other) urgent reasons opposing the removal. Third parties who have been provided with details will be informed of the modifications. Do you have any questions, comments, complaints or a suspected data breach? In that case you can contact us regarding your questions, comments or complaints about the protection of your personal details by Regina Coeli, by e-mail or in writing via hello@reginacoeli.nl or Language Institute Regina Coeli B.V., attn. Management, Martinilaan 12, 5262 BR VUGHT. You can also reach us via telephone number 073 68 48 790. This web form can also be used to modify or withdraw an existing report. Video surveillance only takes place to protect the safety and health of persons, for surveillance in the building and on the grounds of the institute and to protect objects located in the building and on the grounds of Regina Coeli. If any cameras are placed, this is clearly indicated. For any data recorded using video surveillance, it applies that images can only be stored when a camera has been placed to protect objects located in the building and on the grounds of the institute. These data are not stored for more than 7 working days unless any incidents have been recorded. Regina Coeli can introduce changes, additions or modifications to its Privacy Statement from time to time for various reasons. The most current Privacy Statement is available on the websites of Regina Coeli www.reginacoeli.nl or www.reginacoeli.com at any time. 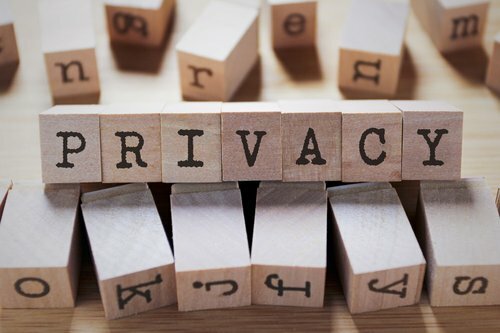 This particular version of the Privacy Statement was drawn up on 25 April 2018.